We love moments like this! The kids at the East Montpelier Elementary School recently joined in a ceremonial groundbreaking for the school’s renovation and expansion project. 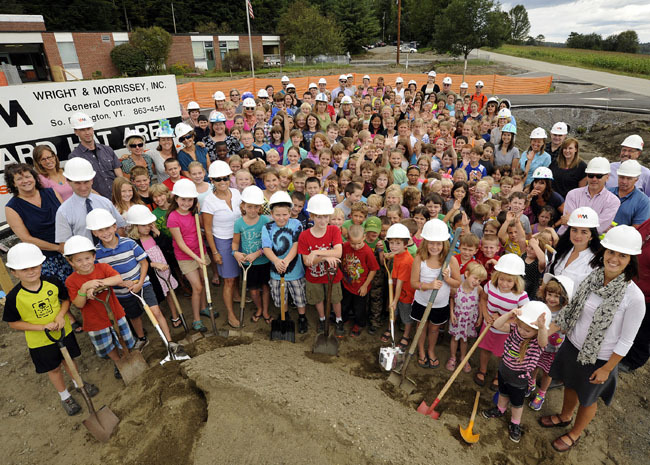 In this photo, published recently in the Barre Montpelier Times Argus, students, teachers, staff and construction workers gathered to celebrate the new project. TruexCullins is working with the school to address site and building issues, including necessary repairs and upgrades to the original 1965 and 1989 facility. The existing 30,000 sq.ft. building is getting retrofit with new roofing, windows, lighting and HVAC. A new 10,000 sq. 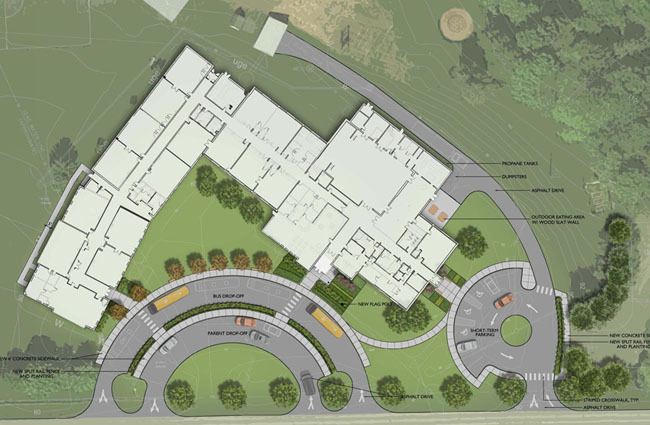 ft. addition will include a classroom, art and music wing, new library, cafeteria and kitchen, and a secure and welcoming entry. A reconfigured drop-off area will improve traffic flow and safety for vehicles and pedestrians. Construction began earlier this summer and will continue throughout the school year.